what happens if i reverberate a fuse card? Can you target a spell with Reverberate, then counter it afterwards? Why Isochron Scepter + Shrapnel Blast doesnt work? Did you think about cards like Reverberate and such? beardumbra Oh man, I don't know how I missed Expansion / Explosion . That's basically a lower upside Reverberate or Twincast but with an upside of also having a half that can blow stuff up and draw me cards (two things I don't have enough of in this deck). 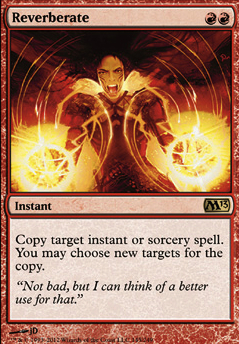 I think I'll be replacing Reverberate with that, since I actually took Reverberate out of my Jaya Ballard, Task Mage EDH deck to make this one. I like the idea of adding in Growth Spiral as well, I just don't know what I would remove for it. An earlier Tana sounds like a great idea, though. Can't get those tokens generating soon enough! First off, Divinity of Pride cannot be run with your current commander. The black may be an optional cost, but it's still part of the cards colors, and can't be run in a boros deck. 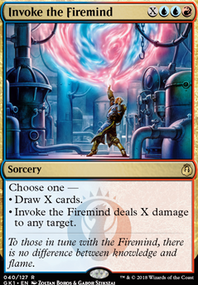 It looks like you're trying to stay pretty budget, so I'd suggest Fanning the Flames as a very grindy, burn win condition. If you can find ways to copy with things like Reverberate it can be a pretty powerful game closer. 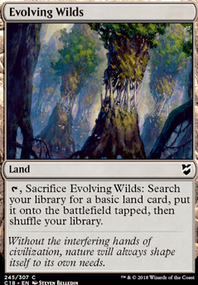 Along with that, having some mana rocks like Sol Ring and Thran Dynamo will be useful to get your commander out faster and build up a competitive late game mana reserve. 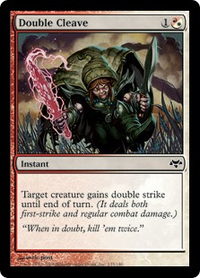 Something that you should remember when playing burn in commander is that while single target removal is important, if all your cards go 1-for-1, you're going to lose, because there are 3 cards for each one you have. Removal like Arrows of Justice just aren't going to deliver you enough value to win games. Consider more flexible options like Swords to Plowshares . 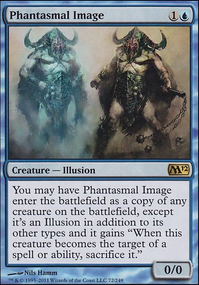 You also run a lot of fog effects for not having a ton of creatures. 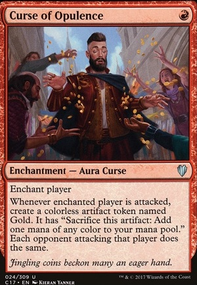 Maybe drop a few in exchange for more consistent removal and some good card draw engines. I heavily suggest Invoke the Divine and Return to Dust . I think you should also consider Sunbird's Invocation to supply you deck with the follow up it needs. Overall you have a good start, and with a little bit of work this could be a really neat deck. Keep up the good work! "When posting a thread, check the recent threads to see if the topic is already covered. If it is, post in the existing thread instead." 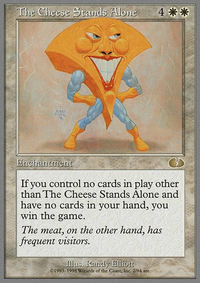 I could post my question on the thread, but I feel people will largely overlook it, likely posting their speculation on what cards they'd want to include in their decks rather than creating a discussion on why particular cards shouldn't be in the set for their potential to warp the format or change the current meta in an unhealthy manner. That's to say I feel posting this topic as it's own thread would result in a different conversation than the one currently on the established post without detracting anything from it. Does the specificality of my thread idea warrant the approval of a new thread to address this topic not currently being discussed, or would it not be allowed due to sharing a similar commonality to a previous thread regardless of how the matter is being addressed? Thanks!